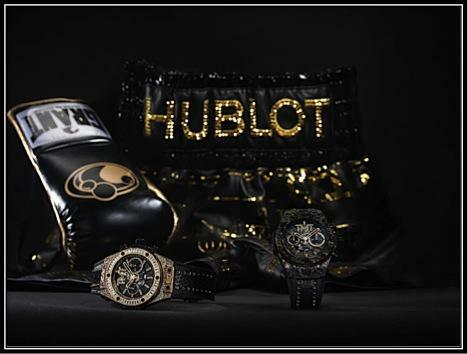 Drawing inspiration from undefeated, 12-time world boxing champion Floyd “Money” Mayweather, Hublot introduces a special edition dedicated to the world-class athlete and his unique sense of style. 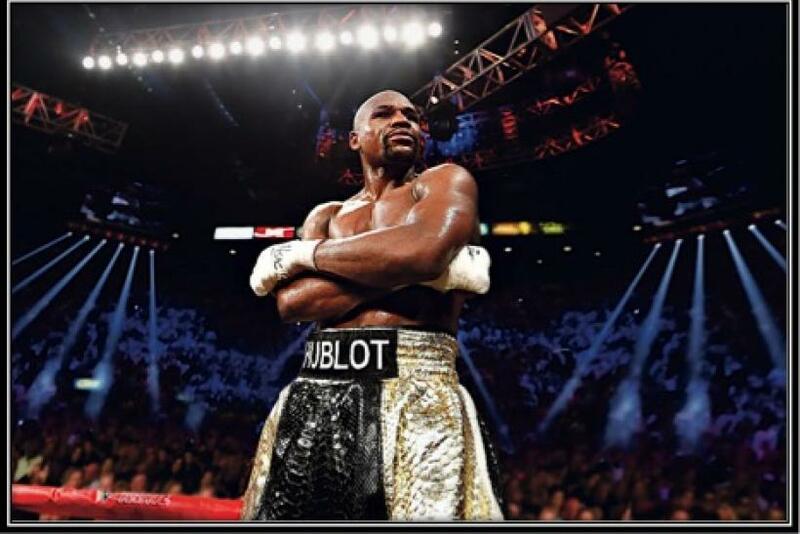 At the much-anticipated bout—dubbed “The Money Fight”—on August 26, 2017, Mayweather stepped into the ring sporting bespoke boxing shorts, created by Sophie Whittam, Director of Fight Label. Created with bravado and panache, the design featured suede and brilliant black python as a backdrop, with Swarovski crystals and an illustration in gold leaf of the boxer on a $1 million dollar bill. The Big Bang Unico TMT (short for “The Money Team”) translates the aesthetics of these famous shorts to a new medium, the miniaturized but still flamboyant arena of the wristwatch. 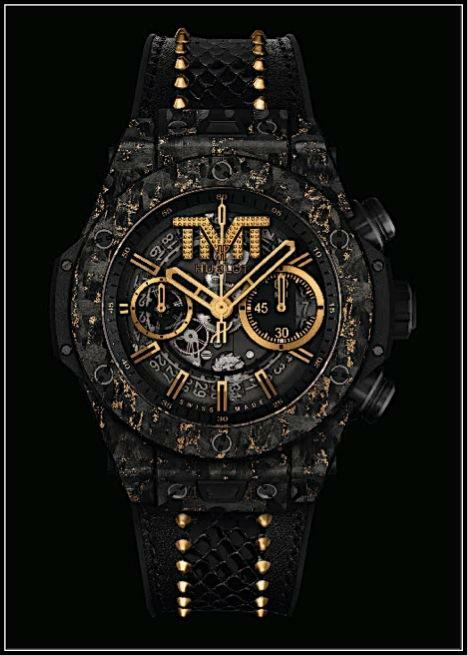 The Big Bang Unico TMT comes in two limited editions: one in 100 pieces crafted in carbon gold, and an even more exclusive edition of ten numbered pieces set entirely in 3N gold. 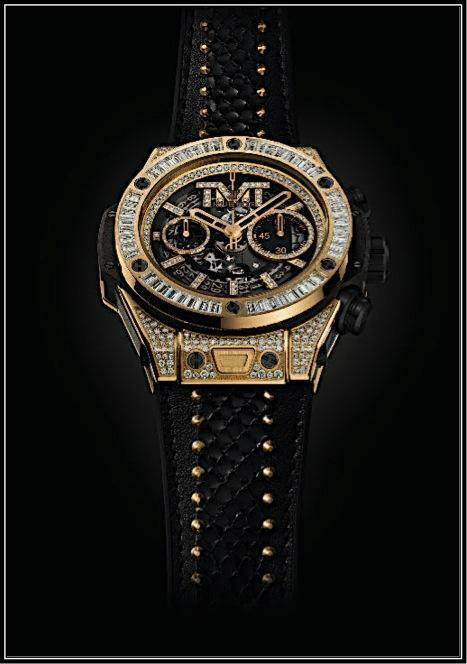 The Big Bang Unico TMT Carbon Gold uses 3N gold-incrusted carbon fiber on its case and bezel, paired with a black rubber and calf leather strap with python and gold-colored studs as decoration. The watch strikes a cunning balance between inky, powerful black and the showmanship of bright gold, much like the man himself. The version in 18-karat yellow gold keeps the chic strap, but opts for a more extravagant bejeweled look on the case, bezel and dial. The satin-finished gold case is set with 176 round-cut diamonds (1.20 carats), the bezel is set with 48 baguette-cut diamonds (2.80 carats), and the skeletonized dial is set with 202 round-cut diamonds (0.849 carat). These timepieces capture a bit of the flair and performance of their undefeated inspiration.